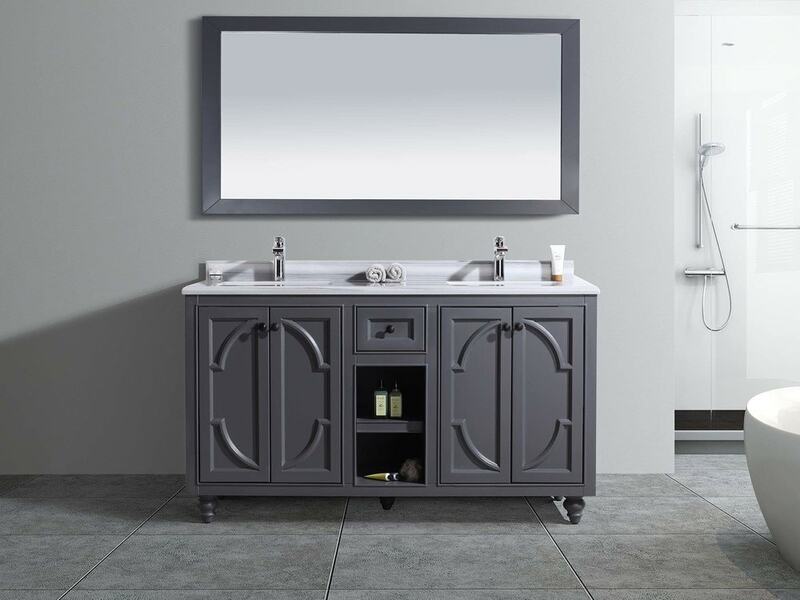 The Odyssey collection is a “work of art” fashioned into a vanity of worth, function, and style. From the top of the White Carrara countertop, finished so eloquently by the double OG edge, to the grain within the finish, lavishly covering the cabinet in 2 colors: Classic White and Maple Grey. The brilliance of the well-thought out concept continues with open shelves and top drawer (on the 36” or larger). 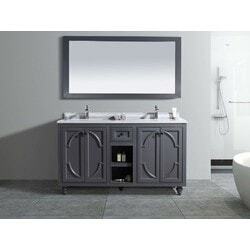 Available in single sink options in 24”, 30”, 36”, 48”, and double sink option in 60”.